Collect usage data for your DotNest sites with Azure Application Insights! Ever wanted to see colourful interactive charts about your DotNest sites' usage that you can pan around and impress your coworkers, clients with? 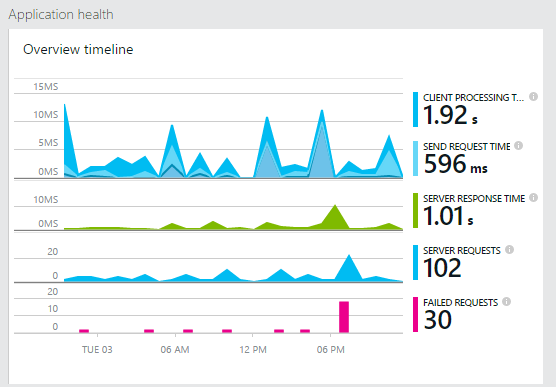 Now it's here, and it's not just cool but also very useful: Azure Application Insights. What's more, using Azure Application Insights is free and also all DotNest sites just got it for free too! Check out how to use it. The Application Insights integration on DotNest uses our Application Insights Orchard module, which you can install to any custom Orchard app too.